Paul wins first place at a prestigious national photographic awards ceremony for one of Paul’s makeover photo shoot portraits as part of the UK Fresh group of studios. The national awards were recently held at the Hilton Hotel in Watford with studios attending from throughout the UK. 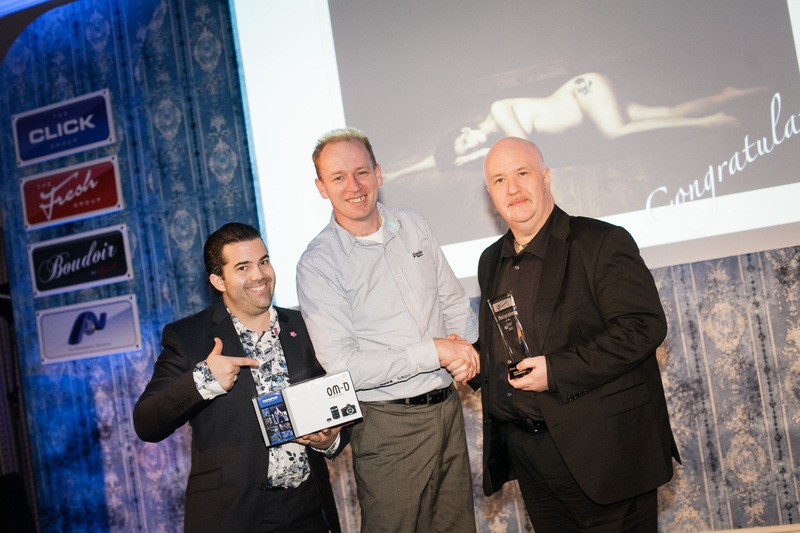 Presenting the awards and top judge was Olympus ambassador Damian McGillicuddy; the modern day David Bailey. The winning photograph is shown here and was shot at our studio as one of our makeover and photo shoot sessions. Tara, the lady in the photograph is now a very happy mother as she was very pleasantly surprised to win £500 in cash. The studio wins £5000 worth of prizes. First place trophy and a certificate. I was very excited to take part in these awards and coming first is fantastic recognition for us. If you would like to book one of these special priced session drop us an email at marketa@pjphoto.co.uk with your details of email, name, address and mobile. You must be over 18 to enter.